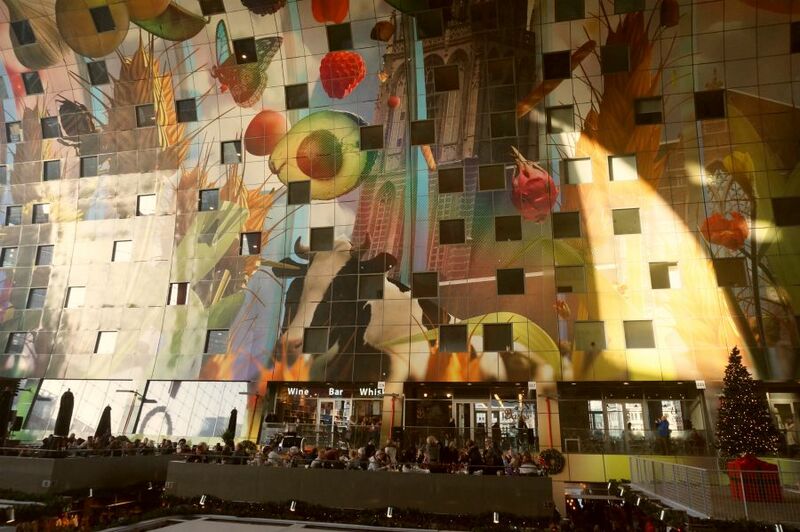 The Rotterdam food market is modern architecture at its finest. A cathedral enhancing the worship of food? It’s certainly beautiful and grand but it can’t be compared to the Sistine Chapel, however, what can? The Market Hall is Guardian newspaper’s number 1 in the top ten of finest food markets. It’s a must-see according to The New York Times. There is a multitude of restaurants and food stalls inside the market. Pleasant terraces in, around and above the stall locations allow you every opportunity to enjoy a quick cup of coffee and a snack or a nice meal. There is also live music and inspiring guided tours – these start at “De Wereld Van Smaak” (the world of taste) – taking you up to the top of the building and then down into the hall’s labyrinth of passageways. 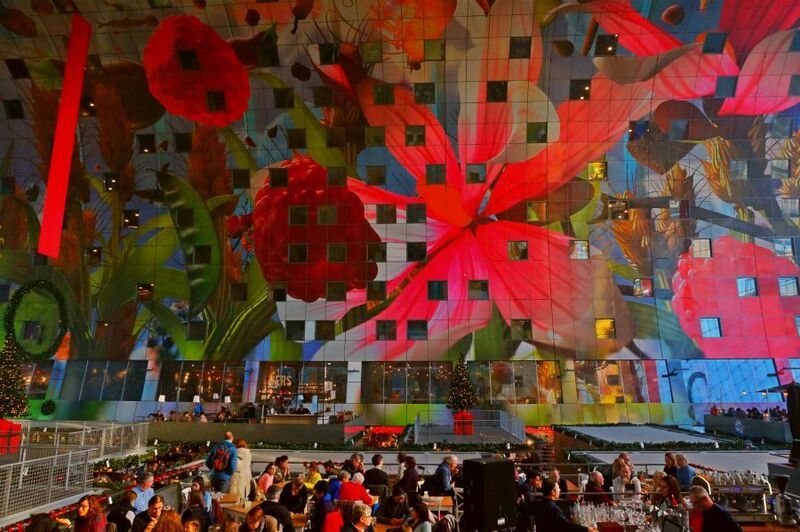 Rotterdam’s largest outdoor market takes place in front of the Market Hall every Tuesday and Saturday . The market is open daily. Weekdays until 20.00 hrs. The market offers a great choice of food. The kitchen is international, with Japanese sushi, Surinamese Chicken and Andalusian fish. There is an abundance of delicious traditional Dutch specialities such as mature Rotterdam cheese, syrup waffles and fries made with fresh potatoes. This is just a short description of what’s on offer; there’s a whole lot more available at the market. After a short stroll along the market stalls it soon becomes evident that the market stalls specialise in health foods and organic produce, you will find all kinds of nuts, olives and chocolate. Public transport: Take a train from whereever you are in Holland. Use the Navfree App on your smartphone and download a map of the Netherlands. 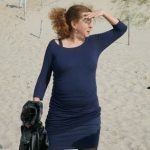 NavFree is great and for free. The App will direct you to the market which is located at: ds. Jan Scharpstraat 298, Rotterdam. By car: Navigate to ds. Jan Scharpstraat 298, Rotterdam. Parking facilities are available underneath the Market Hall. The market gets really busy on Saturdays and entry may be temporarily limited . A one-in and one-out system is used during such periods. Where to Stay: The Stay Oke Hotel Rotterdam almost turns your world upside town. You will love this budget Hotel. It is modern architecture at its finest. The hostel is located opposite the Market Hall in cube houses. The construction resting on pylons was designed by the Dutch architect Piet Blom in 1984.